GaryMoller.com - Health, Fitness - Naturally! : Is this Body Building supplement safe? Is this Body Building supplement safe? I am an athlete who competes in bodybuilding I just purchased a preworkout creatine product called Nano vapor - muscletech, it has an ingredient called YOHIMBINE in it and it has been seized by the nz customs, received a letter from MEDSAFE saying it has to be prescribed to a user, so if i went to any doctor would he be able to prescribe that to me, it only contains 2mg of Yohimbine in it and the rest is creatine, EAA, BCAA,glutamine. To learn more about anything in an article, just double-click on the word, such as this word: "yohimbine", and see what pops up. In fact, there are other ingredients that, at first glance, appear to be powerful stimulants. I would take great care with these kinds of products. After having spent some 20 years in the gym industry I can tell you that some of the most unhealthy people I have ever come across in the gym are the body builders. I once attended a sports medicine case workshop about the harm being done by anabolic steroids to the heart of a builder. We are talking about permanent, irreparable damage to the heart muscle. Further details were disclosed during the workshop about this man's breath-taking abuse of legal and illegal stimulants. Stimulants are included in body building preparations like Nano Vapor to give the user a buzz and the energy to push harder and longer despite the restrictive diet. The stimulants also assist the burning of unwanted fat. While a particular prodcut like Nana Vapor may not be excessive on its own and in the recommended doses, I have yet to meet a body builder who sticks to the recommendations on the bottle. Nor do they take just one product; but many and it is the total amount of the same or similar substances that does the harm. Addiction is almost inevitable. 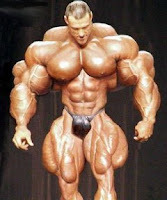 The body builder in this case study was too caught up in the lifestyle and the multiple chemical addictions to change. It was doubtful he would live to 50 years due to the damage to his heart. But change was unlikely. For some, living in the present or just hanging out for the next fix is about as far as they can see. It is therefore hardly a surprise that body builders risk chemical addiction to both legal and illegal drugs. Some go on to achieve notoriety as convicted drugs-pushers, either as a deliberate career move or as a desperate means to fuel their frenzied habit. New Zealand reader may remember the case of a body-builder named "Moller" (No relation - phew!) who ended up spending time in prison for trafficking before being deported to Australia. So, my advice with Nano Vapor is to take nano-more of it from now on. Tell Customs to trash the stuff. Be a body builder au naturale. Take no stimulants or products other than a daily protein shake or two. Sure, you may never win a competition; but you will be clean and healthy. You will save yourself heaps of money in the process. My friend on sugarmommymeet.com told me she had tried this, but she felt not very safe. is not just about teh supplements they take, some go on radical diets to plunge their body fat to an unaturally low level, starving themselves of fat the body actually needs to function, some body builders are actually quite weak for their size because of their inadequate diets they struggle to make up for with an unbalanced aray of supplements. your body is hardwired to maintain certain levels of body fat, when you try and go lower than what genetics has predetermined for you, it will actually start to shut down your metabolism, and the athlete reverses that exercising hard to keep the fat off, it places a lot of hormonal stress on on the body, when combined with being starved of nutrients and crash dieting before competitions. For any nutrition or supplement queries may I suggest you look at "Optimum Sports Nutrition" by Dr.Michael Colgan - probably in your library. Good advice based on research papers that are directly referenced,not only anecdotal opinion! Agreed...very opinionated article. Stereotype with no some truths. While I have expressed my opinion rather bluntly, there is no opinion, just fact, with regards to the ill effects of stimulants on the body, including blowing out the adrenals. My apologies. I do agree with you in regards to the effects of stimulants on the body. Which stimulants does Nano Vapor contain besides caffeine? It has a number of herbal sources of stimulants, including yohimbine.